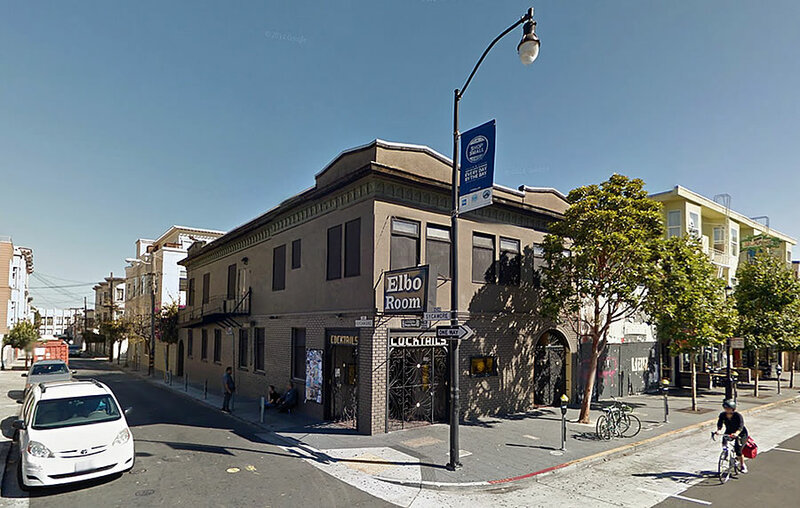 With the Elbo Room’s lease now set to expire on January 1, 2019 and plans to redevelop its site having been approved, the corner building which it currently occupies at 645-647 Valencia Street is now on the market with a $4.2 million price tag, touting transferable building permits for the “development [of a] prime Valencia Street location” which have already been secured. 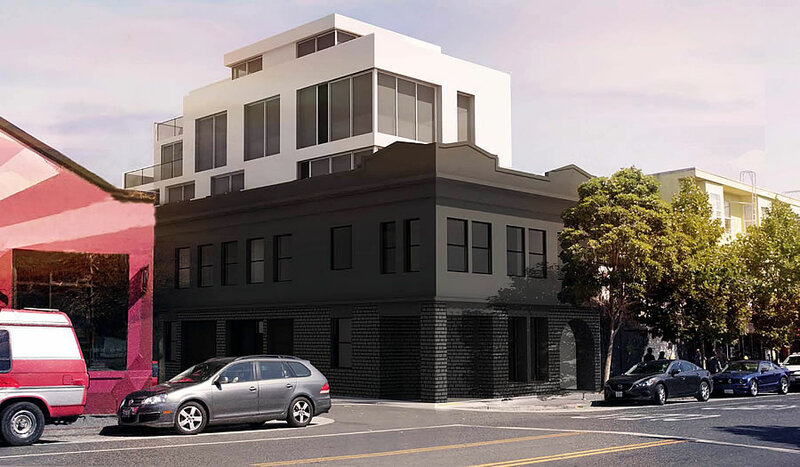 In the works since 2014, as we first reported at the time, the development would yield a five-story building with seven condos over a smaller, 500-square-foot commercial space fronting Valencia Street and a garage for four cars with its entrance on Sycamore. So the former Elbo room owners just used the “we want to retire here” excuse to get through the permitting process and make a big payday? Color me shocked. You mean property owners (v. Elbo Room owners)? The people that own the business (Elbo Room) are not the same as the lot owner. I’m glad I got to see some great shows at the Elbo Room as well as play there a half a dozen times. So, the only news here is that the property + entitlements are now being listed for sale? I’d say that with the way this plan has been revised, dropped, picked back up, redesigned, and now being sold, there’s little chance anything will happen with the property for quite some time. Sadly—even though Elbo Room is on a year-to-year lease at the moment—the business will likely vacate and the space it’ll sit empty for years. 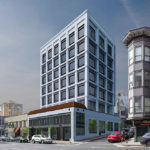 This is the first redevelopment on Valencia street where housing is being added over an existing commercial space, yes? The drips of new housing are coming way too slowly, but at least it’s happening. The lot right next to it has been sitting empty for years now and nothing is done there. The displacement of a successful business is deplorable in the light of situations like that. Greed breeds greed. There’s no real desire to create housing by the city – only profit for developers is what drives what gets built, instead of the city’s needs. Entirely agree. The vacant-lot-adjacent paradox has always aggravated me. That lot is working it’s way through permitting. Looks like it was submitted on 10/26/15. Planning approved in 11/28/2017 and it has been working it’s way through all the other agencies since. Or once again: Stirrings for Long-Shuttered Mission District Site. Sorry that the Elbo Room looks to be on the way out. It is and was a great venue. At least The Chapel opened on Valencia recently, which offsets the loss. Don’t be sorry, buy the building and keep it just how you want it . People who gripe about this should realize that their memories were curated by the same person who is now selling. Good things done by good people come to an end sometimes. The Elbow Room is one of the last great music venues in the City. 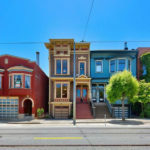 We get a few more housing units and one less reason to want to live in SF. One of the last great? It was never great. Most of the great ones are still here, and the Chapel is new but much better than the Elbow room. August Hall is a new live music addition as well, replacing Ruby Skye. Cafe DuNord is a music venue again. etc. etc.